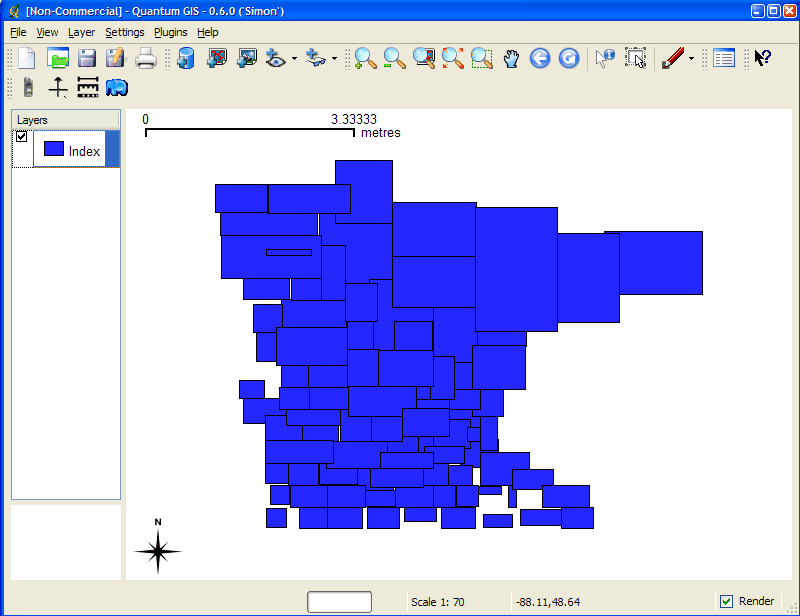 Creates a tile index Shape data set for use with MapServer’s TILEINDEX feature. The program creates a Shape data set of rectangles from extents of all the Shape data sets listed in [metafile] (one Shape data set name per line) and the associated DBF with the filename for each shape tile in a column called LOCATION as required by mapserv. Similar functionality can be found in the GDAL commandline utilities ogrtindex (for vectors) and gdaltindex (for rasters). This utility creates a Shape data set containing the MBR (minimum bounding rectangle) of all shapes in the files provided, which can then be used in the LAYER object’s TILEINDEX parameter of the mapfile. The new filed created with this command is used by MapServer to only load the files associated with that extent (or tile). instead of storing the full filename. This example uses TIGER Census data, where the data contains files divided up by county (in fact there are over 3200 counties, a very large dataset indeed). In this example we will show how to display all lakes for the state of Minnesota. (note that here we have already converted the TIGER data into Shape format, but you could keep the data in TIGER format and use the ogrtindex utility instead) The TIGER Census data for Minnesota is made up of 87 different counties, each containing its own lakes file (“wp.shp”). A new file named “index.shp” is created. This is the index file with the MBRs of all “wp.shp” files for the entire state, as shown in Figure1. 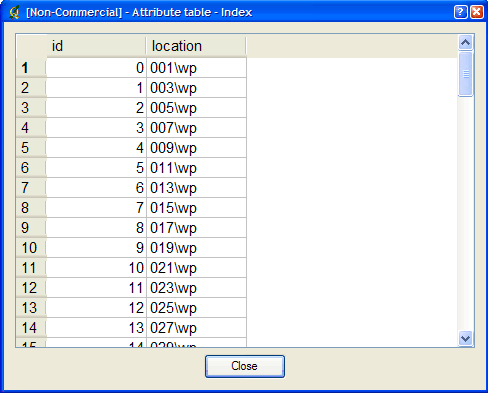 The attribute table of this file contains a field named “LOCATION”, that contains the path to each “wp.shp file”, as shown in Figure2. The final step is to use this in your mapfile. When you view the layer in a MapServer application, you will notice that when you are zoomed into a small area of the state only those lakes layers are loaded, which speeds up the application.